If your young guitarist has shown a persistent love of music, the preteen years are a great time to nurture those interests more intensely. If they pursue music as a career, rounding out their education now will be a huge help later on. And if they change their dream-career a dozen more times, few extracurriculars nurture the developing mind as completely as a musical education can. 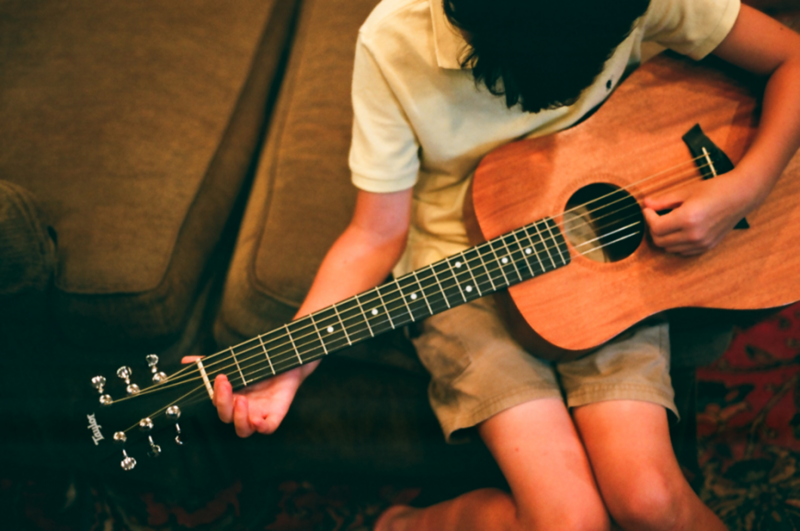 When guitar students start very young, it is the parent's responsibility to help them focus during online lessons and to ensure that they practice between classes. As your young musician matures, start to hand off this responsibility to them. Step back from lessons and let your child develop a one-on-one relationship with his or her teacher. Check in with the teacher every few lessons during this transition period. As a student advances, lessons become less focused on learning notes and songs, and more focused on broader concepts such as technique, interpretation, and the music-learning process. Ask your child to explain what they are working on with a particular piece of music. Articulating the concepts will help them process the information. Classical and jazz guitar are the genres most commonly taught at a university or conservatory level. Guitarists need to become proficient in one of those genres in order to eventually get a higher musical education on the instrument. If they are taking rock guitar lessons and love them, they don't have to quit! Consider adding a second genre (with a different teacher most likely) to their schedule. Most middle schools have music ensembles such as chorus, band, orchestra, and many even have a guitar ensemble. Encourage your young guitarist to join one of these classes. If it means learning a new instrument, even better. It's great for guitarists to get out of their comfort zone and learn a complementary skill like a melodic instrument (for example, wind or brass). Furthermore, making music as a group develops a strong sense of rhythm and vital musical communication skills. The friends they make in such an environment will likewise feed their passion for music. While natural musical ability is an enormous help in becoming a professional musician, it is only a small portion of what it takes to be a successful. There are prodigies who go on tour at age twelve and abandon their instrument by age eighteen – either because they burn out, or because they hit a wall and don't mature emotionally with their playing. On the contrary, there are musicians with less-than-average natural ability who 'make it' in music and compensate for any weaknesses with discipline, love for music, and good business sense. A dream of being a pop star is fun, but there is a lot of luck (and sometimes not too much talent) involved. Similarly, many orchestral instrumentalists (violin, woodwinds, etc.) spend their entire youth preparing for professional auditions, but there are very few full-time positions available. Young and incredibly skilled musicians may feel like a failure at age twenty-five because they don't win an orchestra position their first few auditions and they don't have any other vision of a successful music career. While you encourage your child's lofty goals, plant plenty of realistic ideas, too – the kind that depend more on hard work and dedication than luck. Some examples of viable music careers are: freelance instrumentalists (who play at weddings, parties, and other events), chamber ensemble musicians, university music professors (usually a combination of teaching, performing, directing, composing, etc. ), a primary school or conservatory music teacher, church musician or music director, and private lesson teacher. Many musicians combine a few of these jobs to make up a full-time music career. Let your child dream big of course, but keep them informed on the more secure and trustworthy options. Leah Kruszewski has been a guitar teacher for nearly ten years, specializing in acoustic, classical, flamenco, and fingerstyle guitar. She is the most popular teacher on Lessonface for classical and flamenco guitar! Learn more about her private lessons.